Many years ago while working at the UCLA Pain Management Center, they recommended an amino acid, L-tryptophan, to help reduce pain and improve sleep. Since then, I have recommended this natural supplement to my patients with pain or sleep problems. Recently I came across a detailed explanation about how tryptophan works. In the book “Your Body’s Many Cries for Water” by F. Batmanghelidj, M.D., I learned it has many other important functions. Tryptophan is an essential amino acid, meaning it has to be ingested, since your body does not manufacture essential amino acids. Tryptophan is a vital ingredient in some of the body’s most important neurotransmitters such as serotonin, which helps with healthy nerve function (serotonin is one of the “feel-good” neurotransmitters), tryptamine, melatonin (which helps with normal sleep) and indolamine. Tryptophan helps you endure pain by raising your pain threshold. It helps prevent cancer cell development. It helps with salt absorption, better regulates acid secretion in the stomach, and also helps with better blood pressure control. Apparently, dehydration is linked to decreased reserves of brain tryptophan. Stress also reduces tryptophan reserves. Depression and some mental disorders are a direct result of brain tryptophan imbalance. On the other hand, walking increases tryptophan reserves. Drinking adequate amounts of water to keep sufficiently hydrated and eating the right foods or supplements will also help maintain tryptophan reserves. Some food sources for tryptophan include turkey and milk. This may explain the sleepiness many people experience after a big turkey dinner at Thanksgiving, and why people drink a warm glass of milk at bedtime to aid sleep. Amino acids are the building blocks of proteins and enzymes used for building a strong body and repairing damaged tissue. Dr. Batmanghelidj says the best sources of amino acids are those stored in the germinating seed of plants, such as lentils, grains, beans, eggs and milk. In my own experience, I have seen L-tryptophan help patients sleep better and reduce their pain. I didn’t know it could also help with stomach acid secretion, blood pressure regulation, salt absorption and cancer prevention, along with helping produce some key neurotransmitters for healthy brain function. You may want to consider drinking more water to ensure hydration of your brain, walking more to improve your brain tryptophan reserves, and improving your diet to be sure you are getting enough tryptophan for improved health. 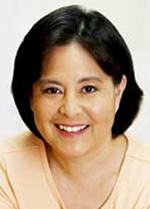 Sheila Yonemoto, P.T., has been a physical therapist for more than 30 years, specializing in integrative manual therapy, utilizing a holistic approach. She can be reached at Yonemoto Physical Therapy, 55 S. Raymond Ave., Suite 100, Alhambra, CA 91801. She offers a qigong “Chinese energy” exercise class. Your first class is free. Call (626) 576-0591 for more information or visit www.yonemoto.com.